About the Region | Aquaclub "Kotvata"
Sapareva Banya features a predominantly mountainous terrain, making it the starting point of many hiking trails. 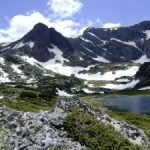 With its deeply incised rivers Jerman and Gorica, the Seven Rila Lakes, and the clean, almost virgin nature the Kabul part of the northwestern part of Rila creates excellent conditions for hiking and tourism. Sapareva Banya is the starting point of some of the most popular tourist routes to Panichishte, Malyovitsa, the Seven Rila Lakes, Resilovo Monastery, Borovets and the Rila Monastery. 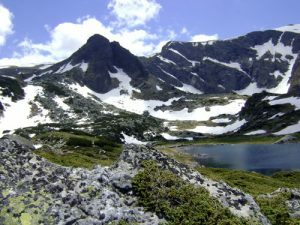 You can take some interesting trails around Northwestern Rila from the nearby villages. You can get to the waterfall of the river Bistrica, the marked trails will take you to the mountain huts, as for the adventure seekers, you can reach Golyam and Malak Syvria, Kabul and other peaks. The visit of the cascade of seven waterfalls, one of which – the Ovcharenski waterfall (39 meters in hight) is a unique experience. The region holds the only geyser on the Balkans. The mineral water is one of the warmest in Europe (103°C) and is proven to have many medicinal properties.